Phosphorous aids in root growth and vigor, being one of the most important elements in flowering and germination. This is essential and needed in large amounts so considered a macronutrient, also majorly important in reproductive stages. Deficiencies will reduce the size of your plant and cause it to be lows and weak, leaves may drop off and the edges around leaves will be brownish, working inward causing the leaf to curl up. Fan leaves will become dark green,purple and yellow with a dull blue occasionally. Affected leaves will never recover and should be removed carefully so that they aren’t taking your plants energy for no reason. Stems and petioles also can turn red, but some strains do this naturally. The sides of the leaves may have a glassy feeling. 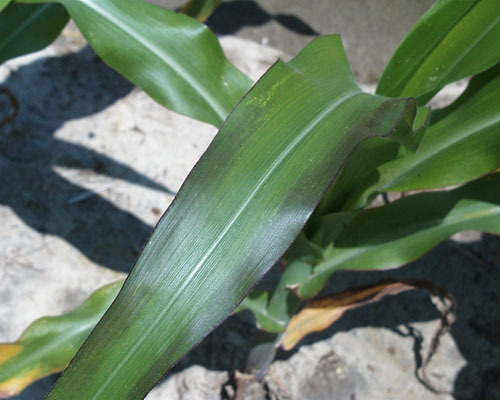 Cold weather below 50F can also make it more difficult for your plant to absorb phosphorous. Do not get this confused with a fungus problem where damage spreads farther and into the buds. Too much phosphorous can suppress the take of iron, potassium, copper and zinc, where zinc deficiency is most common this way. When combines with calcium, phosphorous is known to fluctuate. Best absorbed in pH level of 6-7.5, not recommended to go over 7, anything else will result in deficiency. In hydro systems, pH levels between 4-5.8 are ideal. Use an N-P-K ratio over 5 like Peters 20 20 20, Miracle Grow, Miracle Grow Tomato, bone meal which is gradual but quicker if made into tea, fruit eating bat guano is fast, worm castings are gradual, fish meal is medium, soft rock phosphate is medium,while Jamaican and Indonesian guano is fast . Dr. Hornby’s Iguana Juice Bloom (4-3-6), Fox Farm Big Bloom (.01-.3-.7),AGE OLD BLOOM (5-10-5),Earth Juice Bloom (0-3-1),ALASKA MORBLOOM (0-10-10),Pure Blend Bloom (2-3-5), Sea Island Jamaican Bat Guano (1-10-0.2), Indonesian Bat Guano (0-13-0), Rainbow Mix Bloom (1-9-2).